Baltimore guessing game: Who attended private meeting with Harrison? Were you one of the small group of people invited to City Hall last Thursday for an exclusive meeting with Baltimore Police Commissioner designate Michael Harrison? No? Don’t feel too bad. Mayor Catherine Pugh’s office made no public announcement of it. Reporters weren’t told about it. And City Council members weren’t invited either, which rubbed some of them the wrong way. 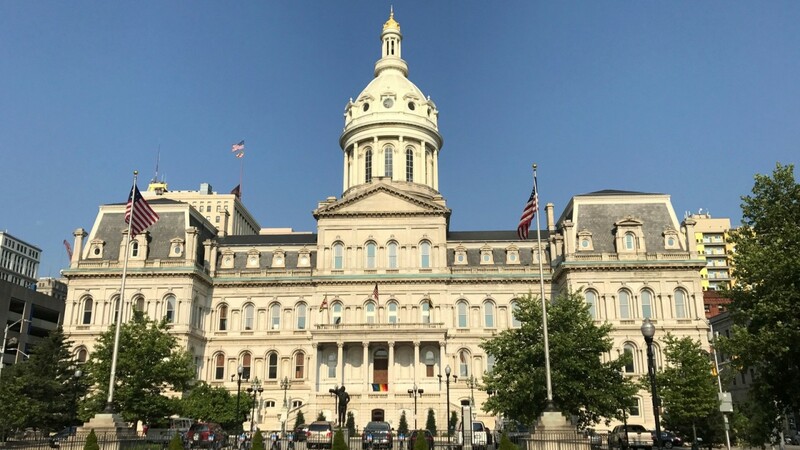 “I’m glad the mayor’s office is connecting him with the community, but an equal effort could’ve been made to introduce him to the people who will actually be voting on him,“ wrote Councilman Bill Henry on the Baltimore Voters Facebook page the next day. The Brew asked the mayor’s office last week who was at the meeting and got no answer. The reason why discussion of the intimate gathering took place on the Voters Facebook page is that its founder, David Troy, was one of the people who did get an invite. “I think overall [Harrison] seems to have the experience, curiosity, and capacity to handle the complexities of this job,” Troy wrote in a 691-word post, which is where many people learned the meeting took place. The Bolton Hill tech entrepreneur wrote his summary after what he described as “a brief one-hour introductory session between about 15 community members” and the designee. “I think he is someone who would be open and accessible to members of the community,” Troy continued, in his generally positive account. Troy’s post spawned furious criticism on his nearly 9,000-member site. “Meeting the new commissioner before even the NAACP or the ACLU?” one commenter asked. “So you were invited because you were trusted to go to Facebook with your large following and spread good words before constituents,” another charged. Fueling the hard feelings is the fact that Pugh’s earlier efforts to name a police commissioner drew heavy criticism for its lack of transparency. The mayor had promised an open community engagement process after Darryl De Sousa resigned last May, but that never happened. Pugh’s choice of Fort Worth police chief Joel Fitzgerald instead was revealed after a seven-month search conducted largely behind closed doors. With her latest pick, New Orleans police chief Michael Harrison, Pugh promised to hold meetings in each of the city’s police districts. Only now here was Harrison’s first community meet-and-greet conducted, so it seemed, in more secrecy. Troy’s defenders stepped in over the weekend to respond. Another argued that City Hall should be commended for reaching out to Troy in order to get the broadest community engagement. For his part, Troy said his inclusion in the meeting makes sense. “I’m an engaged member of the community, with years worth of exposure to the issue, and with access to a large audience,” he said. Asked online who attended the meeting with him, Troy wouldn’t say. He deferred to Alexandra Smith, the mayor’s director of community engagement. Participants were asked not to disclose the list while fellow attendees were being given time to share their thoughts with their contacts in the community. Some attendees, like Michael Hilliard, community services director for the Harbel community organization in Northeast Baltimore, posted about the meeting before and after it took place. “At first blush he is an impressive person with a great deal of experience in policing a city very similar to ours,” wrote Hilliard, a retired Baltimore Police Department major who lives in Baltimore County. Other names of attendees remain a subject of speculation. Meanwhile, what about the multiple meetings with Harrison out in the community that the mayor’s office has promised? “The schedule is not final and was shared prematurely,” Bentley said, referring to a list of 10 dates and locations Troy posted last week. He said Thursday’s meeting represented “a good effort” by the mayor to get citizen feedback. Her office, however, “mishandled” one aspect of the event by withholding – for four days now – the names of attendees. “This was not something I knew they would do going into the meeting,” Troy said. Shortly after this story was posted on Facebook, Dave Troy said he was posting this list – all the names he recorded at Thursday’s meeting – “in the interest of settling this question.” No official list of the attendees has yet been released by the mayor.